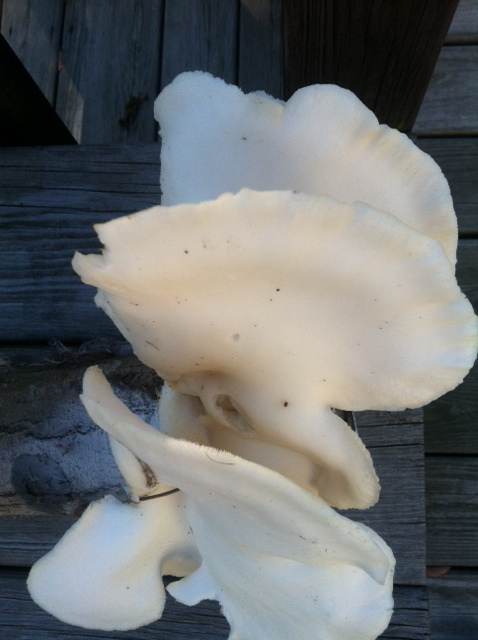 What a thrill to glance at the "mushroom logs" and discover this gigantic oyster mushroom! Thanks to a "mushroom log" workshop conducted by Stephen Conaway of the Greenwich Land Trust on Feb. 27th, 2016, our group is now enjoying oyster mushrooms and shitakes as well. There's no end to the exciting experiences one can have in the garden. Time to start thinking about putting the garden "to bed" for the upcoming winter months. But, first, do plant your garlic cloves soon so you can enjoy your harvest next summer.